Major disasters like hurricanes, mudslides, and heavy rainfall can lead to flooding and potentially cause property damage as a result. Usually, policyholders need to buy additional flood insurance to cover flood damages. 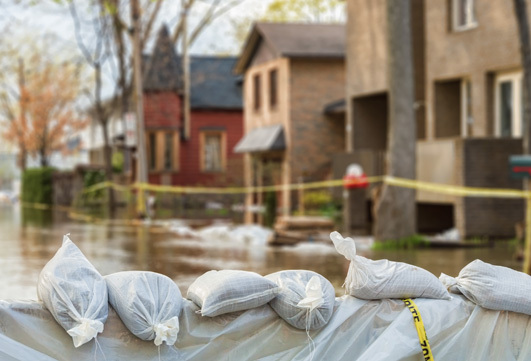 However, in some cases, insurers require flood insurance, and in other cases, the property owner has the option of whether or not to get the additional coverage. Whether or not it is mandatory depends on where the property is located and if it is situated in a flood hazard zone as designated by FEMA. Many property owners do not immediately think of getting separate flood insurance because it is not always required. Whether or not it is mandatory depends on where the property is located and if it is situated in a flood hazard zone as designated by FEMA. Often they think about it after the fact, when flood damage has already occurred and they are devastated to find out that their policy does not include flood coverage. It is important that property owners are aware of all the coverage that is included in their policies and to make sure that it is adequate for them. At Abir Cohen Treyzon Salo, LLP our insurance claim attorneys will help you understand your property insurance policy. We can answer any questions that you have regarding your flood damage or any other kind of property damage claim. Let us know if your claim has been denied and one of our insurance claim lawyers will be happy to review your insurance coverage with you and offer our knowledge and expertise to help you get your rightful compensation. Please feel free to contact us at (888) 20-CLAIM. We are here to assist you in any way we can.